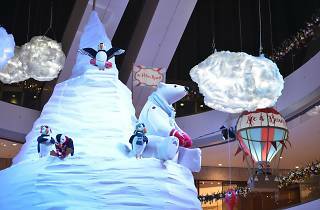 Get into the holiday spirit this year and join ifc mall as it transforms into a stunning rendition of the North Pole as The Polar Resort! 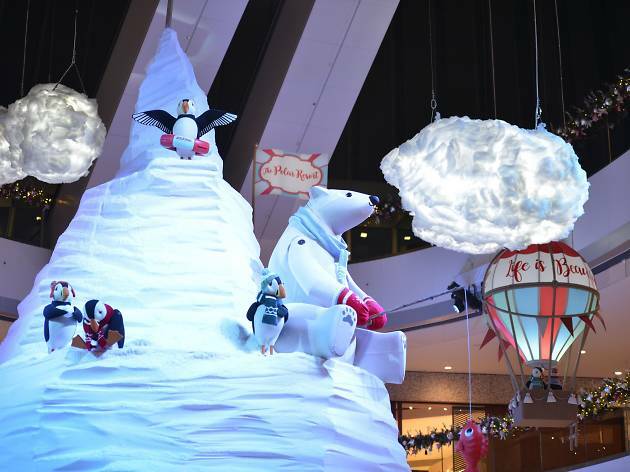 Bringing the best of the Arctic Circle to the heart of Hong Kong, celebrate this beautiful time of year with your favourite Arctic animals and other icy surprises at ifc mall’s oval atrium. Surrounded by the Arctic Ocean and miles of dense permafrost, the Arctic region is inhabited by an array of unique animals from polar bears, seals and whales to walruses and puffins. 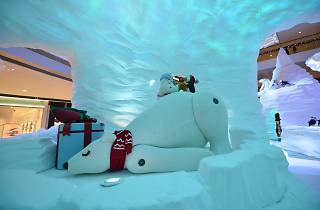 Experience the picturesque landscape of the North Pole and all its animals at The Polar Resort featuring a three-storey high iceberg and many more Christmas surprises in store. 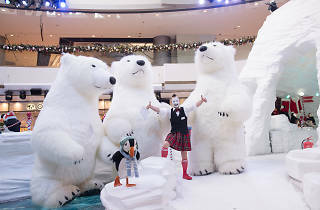 Enjoy The Polar Resort’s Arctic pals that are each tailor-made and handcrafted in fabric finishes to bring a bit of holiday warmth to this frosty and cool atmosphere. There’s also special animations set up to mimic each animals’ actions which will bring them right to life in front of your eyes. Take a walk around the two large icebergs as snow drifts through the atrium for the ultimate Christmas experience. Don’t miss your chance to snap a memorable photo with the festive snowmen, polar bears and puffins around the icebergs for the perfect holiday snapshot! You won’t want to miss out on the debut performance of Vadik and the Bears! Performing in Hong Kong all the way from Minsky, Belarus, Vadik and The Bears is set to wow the audience with a show stopping performance this holiday season. After joining Britain's Got Talent, Vadik and the Bears are prepared to spend their holidays in Hong Kong. 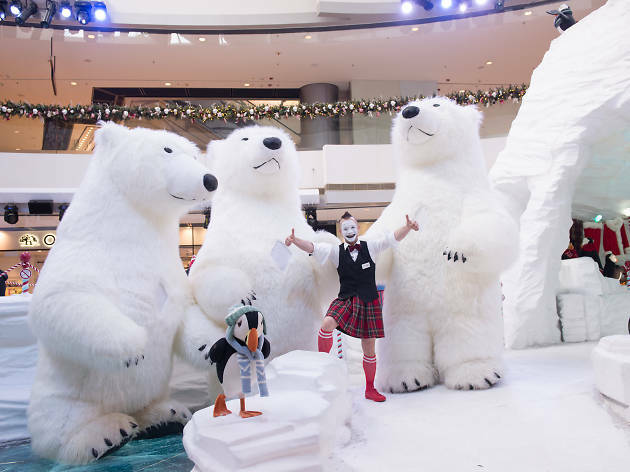 Join Vadik the clown together with five three-meter tall polar bears and their cute puffin friend as they share their festive show just in time for Christmas. 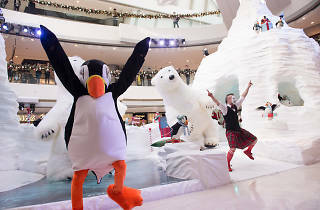 Catch the five polar bears and puffin as they tango, Irish step and do their very own rendition of the Swan Lake performance. If you want to catch this show make sure you head on down to ifc mall between December 14 to 27 to see Vadik and the Bears! Spend your day shopping away and don’t miss your chance to visit this festive installation brimming with love and warmth. 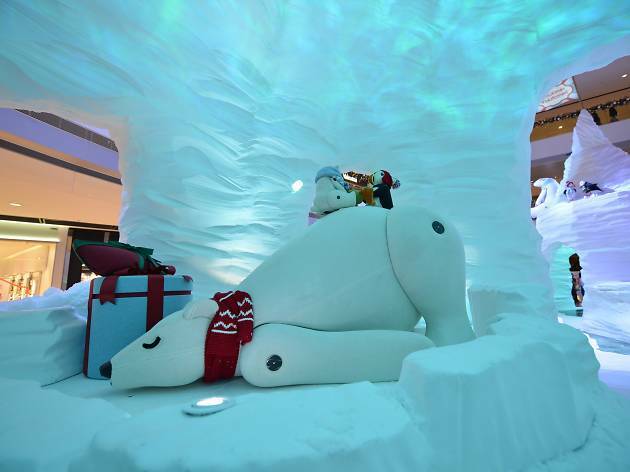 You don’t need to travel all the way to the North Pole this year, just hop on over to ifc mall and enjoy the very best of the Arctic from the comfort of Central! That’s not all that ifc mall has to offer this holiday season as there are exciting exclusive cash rewards and gifts available throughout the next month until December 27. Shoppers who spend $8,000 or more are eligible to receive a Calvin Klein Underwear ivory fluffy robe (valued at $1,590) or a sparkling pair of Riedel Champagne glasses (valued at $340) as perfect gifts for your home or special someone this Christmas. Shoppers who spend over $50,000 are rewarded with an exclusive CLUB ic membership and ifc mall gift vouchers specially for CLUB ic members (valued up to $30,000). Lastly, from now till January 31, shoppers who spend a designated amount with a Citi Visa Credit Card can enjoy city’super shopping vouchers valued up to $2,000. CLUB ic Principal Members who have registered for the city’super shopping vouvhers while spending $8,000 or more will also receive a Godiva Chocolate deluxe gift set valued at $1,190. Happy shopping! 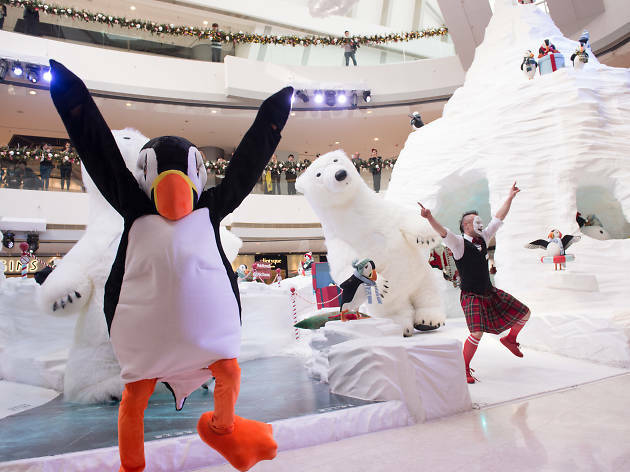 The Polar Resort Until January 3, 2017, Oval Atrium, ifc mall, 8 Finance St; ifc.com.hk/xmas2016.